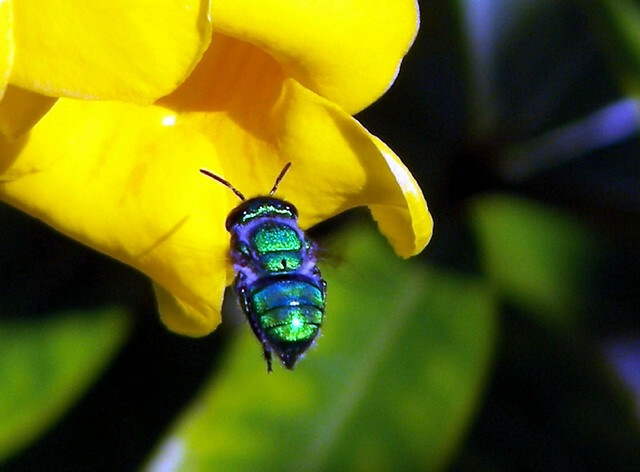 Yes, that is a real bee, it is a species of Orchid Bee a type of tropical bee that are jewel-toned in colouration. Fantastical isn't it? If this doesn't make you want to use purples, blues and greens I don't know what will! Have a great day!